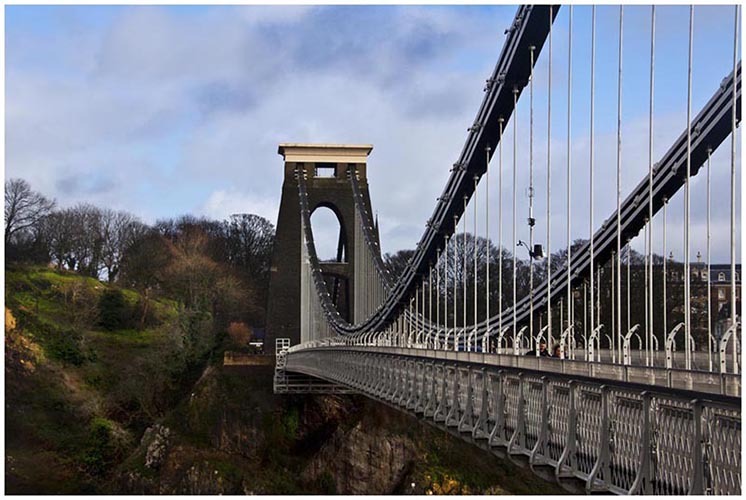 On Saturday, 15th February, Richard Walters, Tony Llewellyn, Tony Platt and myself went on a visit to Bristol as a planning trip for our one day trip in July. We arrived at the SS Great Britain car park at 10.30 am, and set about the more serious business of coffee drinking, augmented by one member of the party with bacon sandwiches. Note the plural. At the SS Great Britain we were met by Isambard Kingdom Brunel himself, who kindly allowed us to take his portrait. The two Tonys went to visit the SS Great Britain, whilst Richard and myself walked along the harbour side, finding many photographic opportunities. We even bumped into members of another camera club from Somerset heading for some street photography. Soon we were enveloped in heavy rain (and hailstones) so we took shelter on a doorway. We must have looked wet as the lady of the house invited us in. However, as it was time to return to the SS Great Britain, which we did bravely through the rain . Meeting up with the rest of the party, we again had a chance to chat with Brunel who, not surprisingly, was a mine of information. We then drove up to Clifton near the suspension bridge. We walked across it and back, again having some good photographs. Once again we were beaten by the rain, and after driving around the centre of Bristol we headed home in bright sunshine. On reaching Wales (after a particularly slow passage through the toll) we drove to Dunraven Bay looking for a place to eat. We settled on The Three Golden Cups Pub, just above the baywhere we were given a friendly welcome and good food. We also secured a table for those who wish to dine after the next field trip. Al in all, a very successful day, enjoyed by all.